1CLICK is pleased to announce that it has been acquired by Freshdesk. By joining a larger platform, we will be one step closer to our goal of delivering a world class customer service software to businesses across the web. Freshdesk is a company that is committed to helping its client deliver exceptional customer service, and this is a merger of the values and goals that our two companies have in common. 1CLICK’s webRTC based platform will soon integrate with the Freshdesk customer support software and give its users additional capabilities to co-browse, video and voice chat with customers online. For our existing customers, 1CLICK will continue to serve you through our current terms of service, Freshdesk is committed to supporting 1CLICK’s existing customers. We will keep you posted on updates to our service. For our new customers, we shall be announcing new offerings soon. Stay connected! Thank you for being a part of this journey with us. We are excited to merge with Freshdesk and look forward to developing awesomer customer service for you in the time to come. 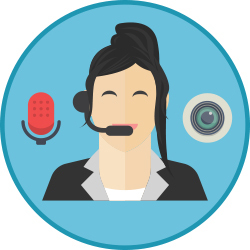 1CLICK’s customer support software lets you connect with your customers through a real-time chat using the latest WebRTC technology. These calls can be launched right from your website by a customer leading directly to you. Our video and voice call quality is at the very best standards and can reach up to HD quality if your connection supports 700kbps or more. Our screen sharing and co-browsing tools were built to help you collaborate with your customers online. The co-browsing feature lets you browse pages on your website which have co-browsing enabled, while screen sharing gives both you and your customer the option to share a page of your choice! Both these features can be enabled during the call, which allows you to chat with your customer during collaboration. Easy and secure chat communications right in your browser, through your website. All call controls and text chats are transmitted over secure websockets using TLS-1.2. 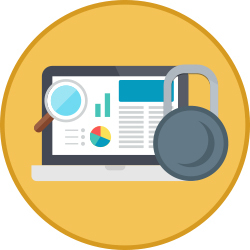 Our platform is built ground-up using WebRTC, which by default uses Secure RTP (SRTP) which means every audio and video packet sent over the internet is encrypted using 128-bit cryptographic keys which is same as the encryption used by online payment gateways. Engage your mobile visitors in a live video, voice or text chat with our mobile optimized live assistance solution. Our video chat feature connects your customer and you with high quality HD video at a low bandwidth of just 700Kbps. 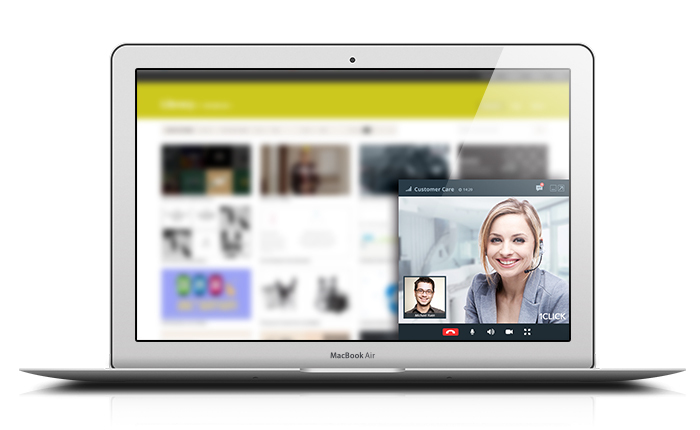 Video chats can be trimmed down to plain-voice engagements from the hero console. The voice chat can be boosted to a video chat during a call with the click of a button. In the event that your customer doesn’t have a mic and camera, you can engage with your customers with a text chat. 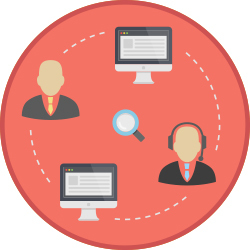 Co-browse your website with your customer during a live call with our co-browsing tool. Our annotation tool, and white dashboard are also activated during co-browsing. Screen sharing allows you to share a tab of your choice with your customer, or the entire screen. The screen sharing works 2-ways which means that both you and your customer can use this option. Record calls real-time during your engagements with your clients for future reference and internal training. You can play back recordings from the hero console, after the end of your call. Customers have chosen not to complete a transaction because of poor customer service online. Revenue increase of companies that add a human touch to online customer interaction.